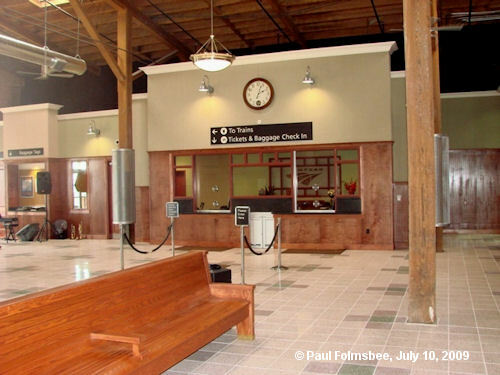 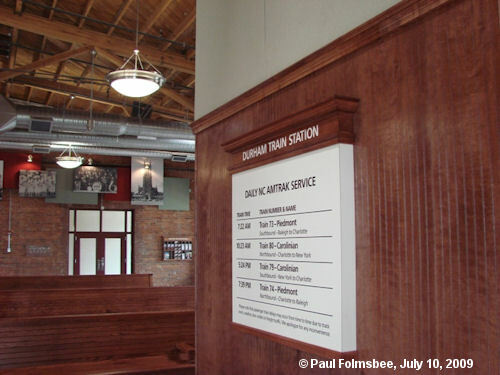 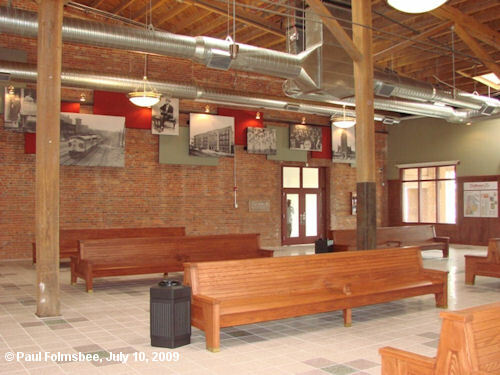 On July 10, 2009, the North Carolina Department of Transportation dedicated a new station in Durham to replace the temporary station depicted below. 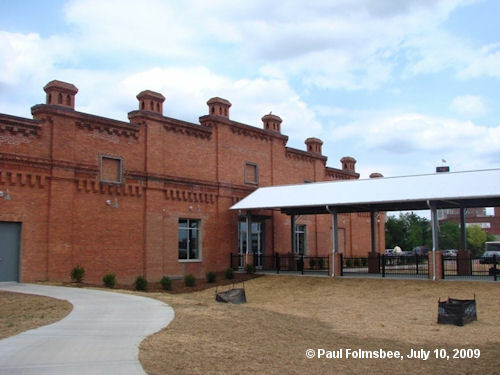 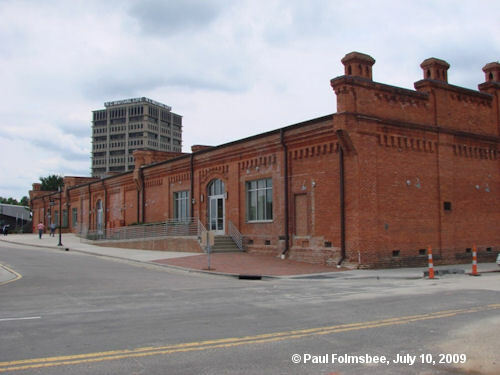 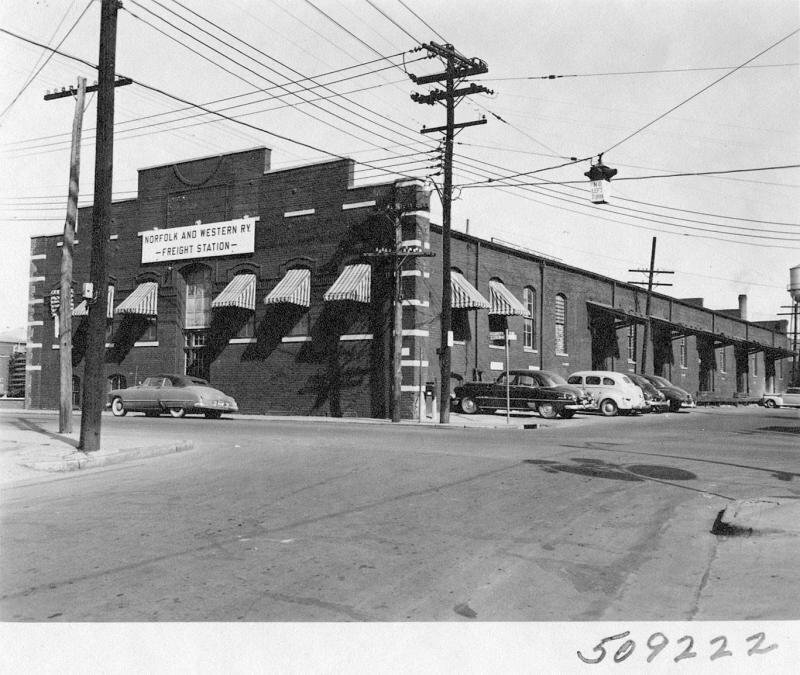 The 10,000 square foot depot is located in the remodeled Walker Warehouse Building at 601 W. Main Street in Durham. 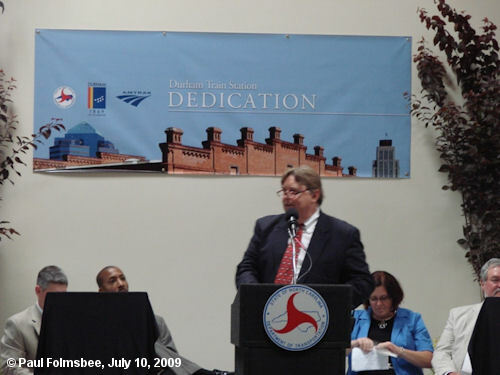 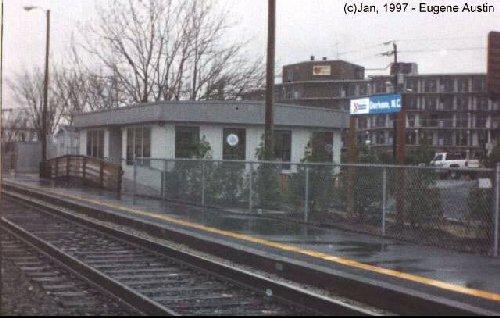 Paul Folmsbee attended the dedication of the new station and provided us with photos taken at that time. 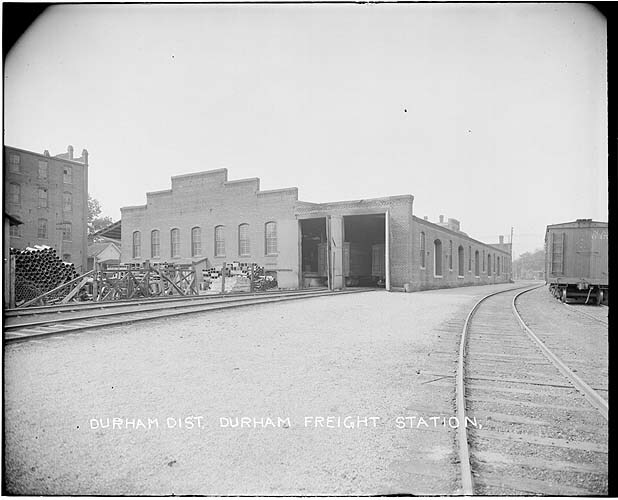 Durham Union Station, circa 1940. 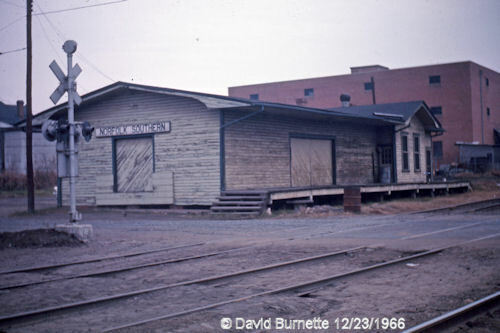 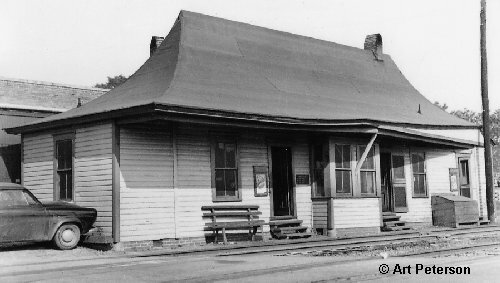 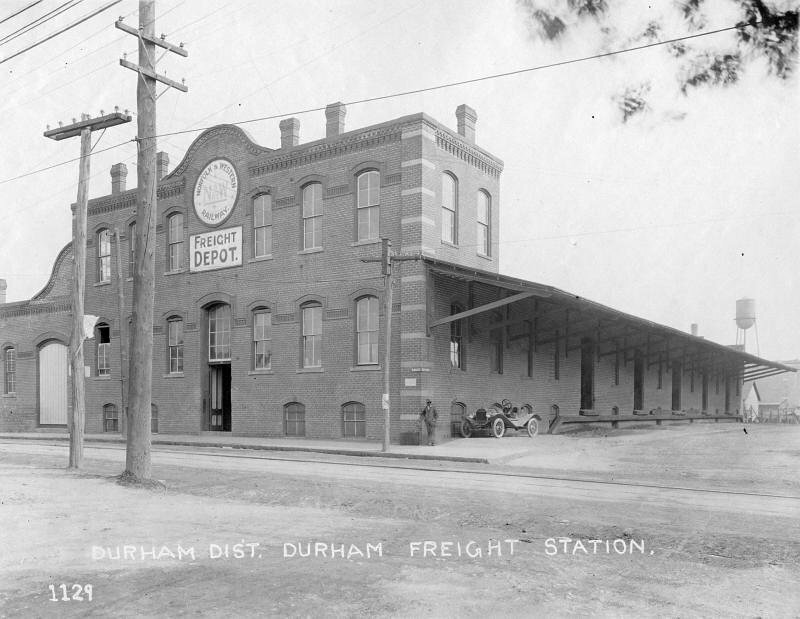 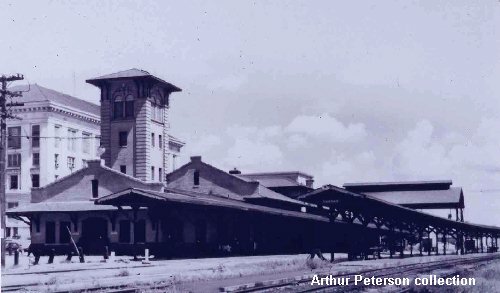 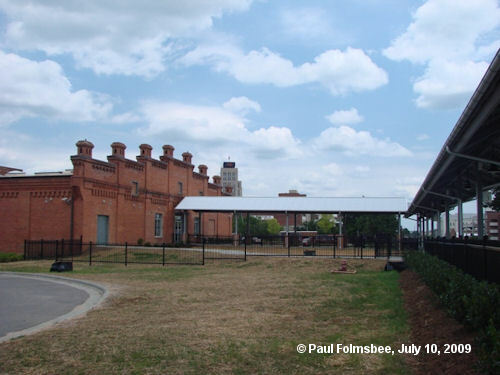 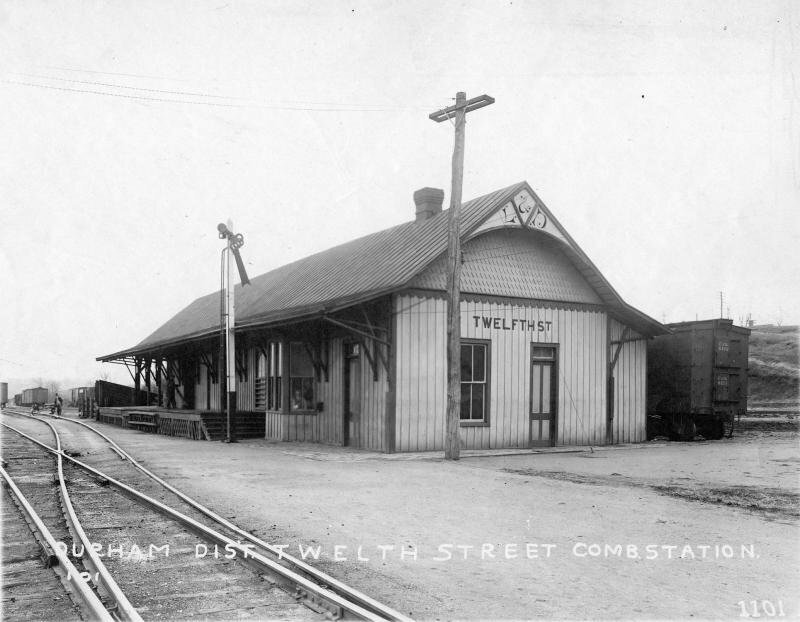 This station served the Southern Railway, the Norfolk & Southern Railway, the Durham & Southern Railroad and the Durham & South Carolina Railroad.